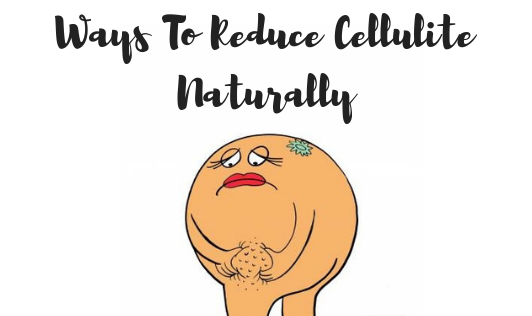 Cellulite, a term given to fat deposits just below the skin, typically in the abdomen and lower pelvic region such as on the buttocks and thighs. Cellulite is said to appear on your body because of hormonal reasons, poor diet and lifestyle choices, age and genetic predisposition. • Include plenty of foods rich in antioxidants in your diet such as citrus fruits and veggies. Antioxidants are number one defense agents against free radicals, which damage skin cells and form cellulite. • Drink green tea as it can help in reducing the signs of cellulite. Green tea has been found to be effective for increasing energy outflow and assisting in weight loss. • Exercise, as it helps in reducing fat, boosts circulation and can help disguise cellulite by increasing muscle tone under the skin. • Cut out toxins as it can affect the dermis and contribute to cellulite formation. Limit or remove toxins such as alcohol, tobacco, high levels of sugar and chemical additives. • Reduce stress as it creates toxins in the skin. It burns valuable hormones and neurotransmitters causing free radicals and slows down metabolism. Chronic stress contributes to fat stores and premature aging. Keep stress at bay by practicing yoga, deep breathing or anything that relaxes you. • Massaging and brushing will help in stimulating and increasing blood flow to and from the skin. Massaging and brushing the affected areas each day will help in removing toxins, excess fat and excess water in these areas. • Use sea salt or Epsom salt while taking a shower as they help pull out toxins from the skin. • Drink plenty of water, this will help in flushing out toxins and keeps your skin and tissues hydrated. • Use coffee scrub- the granules and caffeine present in coffee increase blood circulation and lymphatic fluid to remove toxins and repair tissues. A well-balanced diet and a healthy lifestyle along with these tips will help you deal with cellulite to a great extent. Also, exercise properly, and stay anxiety-free. You will gradually and successfully get rid of cellulite.